Using a simple long-stitch binding typically hidden underneath the case of a book, and a simple one-section binding, we will create wild sculptural books by sewing up pages made of crumpled prints that have been smoothed out. Students will learn two simple binding techniques, and learn how to create texture and form by manipulating your text papers. Additionally, we’ll combine materials by using over-sewn canvas and laminated paste papers for our covers, furthering the experimentation with material, all the while discussing ways to incorporate text and image into these structures. Erin Sweeney lives and works in southern New Hampshire. She received her MFA in Book Arts and Printmaking from the University of the Arts in Philadelphia, where she was awarded the Elizabeth C. Roberts Prize for Graduate Book Arts. She also has a BFA in Sculpture from the Maine College of Art in Portland, Maine. Sweeney exhibits nationally, most recently at Maine College of Art, University of Southern Maine’s Glickman Family Library, Abecedarian Gallery in Denver, Colorado, and Translations Gallery in Canton, Ohio. 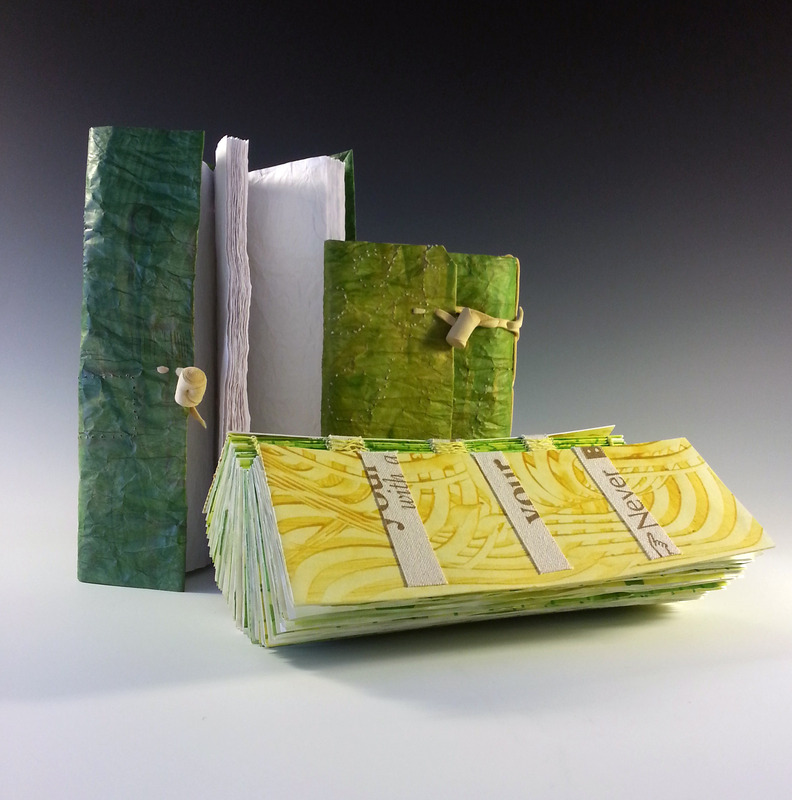 Additionally, Sweeney is an instructor, teaching book arts workshops at her Lovely In The Home Press. She also travels to teach workshops at many locales, including Stone House, the University of Southern Maine’s Book Arts Intensive; Cló Ceardlann in Donegal, Ireland, and the Philadelphia Center for the Book. She is also an Assistant Professor at Bunker Hill Community College, Adjunct Professor at New Hampshire Institute of Art, and an instructor at the North Bennett Street School.